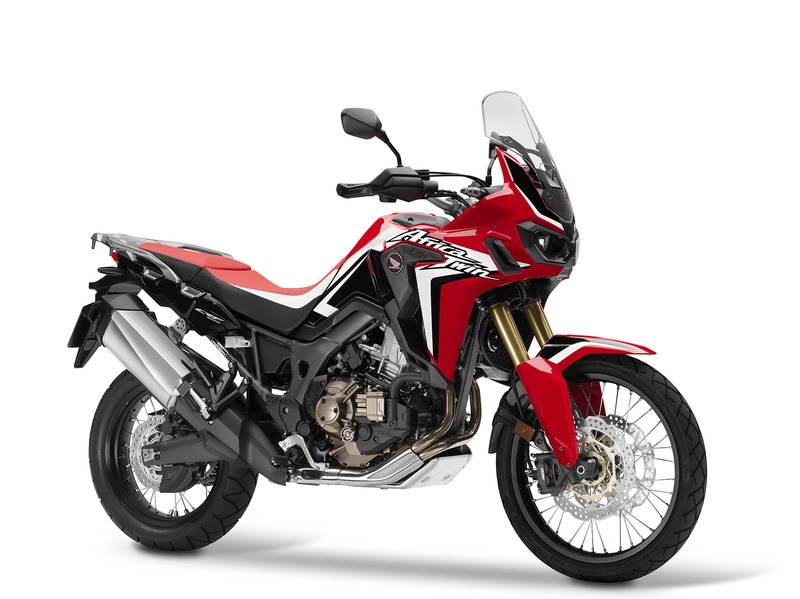 Double the adventure: Honda Africa Twin koncepts. Information of upcoming models can come about from various sources: Spy shots taken with a long lens by a photographer hidden in some bushes, a factory insider leaking details, a member of the public who’s seen the bike in the flesh and is recounting the moment, some patents discovered online… it can come from anywhere. Sometimes that information is bang on the money, as it was when I created renderings of the Ducati Diavel, Panigale and BMW Scrambler. 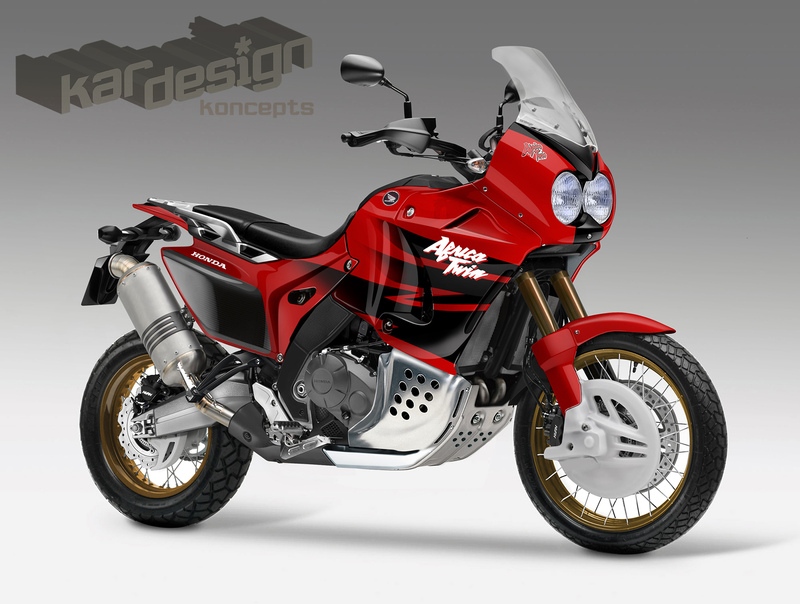 Other times, it doesn’t go quite to plan… just like these Africa Twin renders. 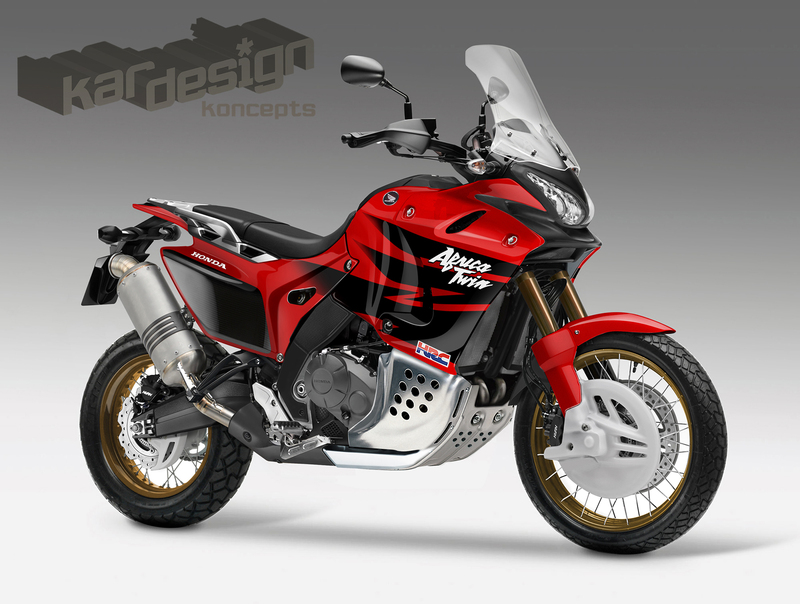 Back in 2014, MCN contacted me to create a visual of the expected Honda Africa Twin, the word on the street was that the new bike would strongly echo the old bike in terms of styling cues as Honda were likely looking to tap into the nostalgic appeal. So with this in mind I set about my vision and created two versions of the bike, both with big, protective bodywork. As it turned out, both were wide of the mark and we ended up with impressively light and edgy Transformers-style look that is so popular with the Japanese manufacturers. Not close, and definitely no cigar. C’est la vie!